I hope that your church pulled out all the stops for a raucous celebration of the Resurrection of our Lord Jesus Christ. Without this historic event, our Christian faith would be worthless. We should absolutely make Easter Sunday the biggest and best on the calendar. But what are you going to do with Easter for the next 364 days of the year? What will you do with Easter when a particular area of sin looks attractive to you, and you feel weak and unable? What will you do with Easter when you’ve been betrayed by someone, and thoughts of vengeance enter your head? What will you do with Easter when you’re struggling in your marriage, and it seems impossible to love one another as God has designed? What will you do with Easter when you’re facing another situation with a rebellious child, and you feel as if there’s no patience left? What will you do with Easter when you lay in bed tonight, wondering how you’ll face tomorrow? What will you do with Easter now that Easter is gone? 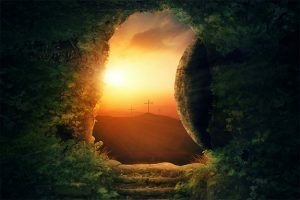 As much as I’m captivated and riveted by the reality of the Empty Tomb, I need to be honest with you: it’s a struggle for me to remember them once the celebration of Easter has died down. 1. The Empty Tomb comforts us. Difficult and unpredictable realities of life in a fallen world are guaranteed, but we can “be steadfast and immovable” even when we don’t understand, because our Risen Savior rules over everything that would confuse us. 2. The Empty Tomb motivates us. If Christ rose from death, reigns in power, and is coming back again, we should be the most motivated community on earth, “always abounding in the work of the Lord.” Enough of mere survival – we should help others thrive right here, right now, because we believe in victory, redemption, and transformation. 3. The Empty Tomb assures us. If the Resurrection guarantees eternity, then we believe that our suffering and ministry “is not in vain.” Life will get discouraging – at times, it won’t seem like there is an end in sight, or progress is invisible. But a Second Coming is coming, and we will be rewarded for our faith. Don’t wait until next Easter to celebrate these realities!